Aleksander Barkov as Florida Panthers' Next Captain? Barkov as Panthers’ Next Captain? Two years ago, prior to the Florida Panthers ultimately deciding to appoint Derek MacKenzie captain, there was much debate on who would take over the role. 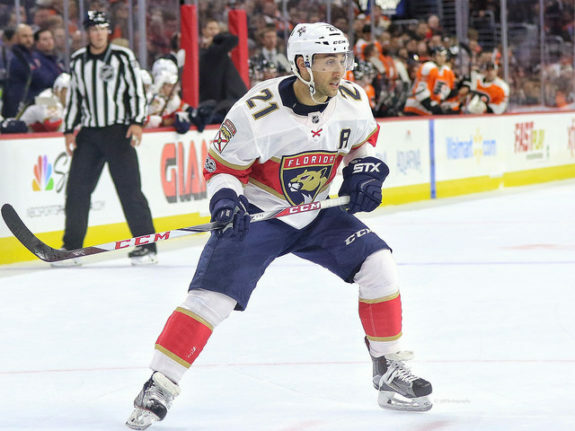 Former captain Willie Mitchell had just moved on and the Panthers had two options: to pick a rising star or to pick a veteran. Most of us believed it would be the former, but they opted for the latter. At the time, they decided experience was needed in the role rather than youth. Now, two years later, the same question is becoming relevant. This time, it should be a player of the future that earns the coveted ‘C’. MacKenzie will be an unrestricted free agent next season and it would be a surprise if Florida brought him back. If they decide to do so, it would be even more surprising if he remained captain. That being said, while it is a significant move to strip a captain of his ‘C’ it is a move that has been made by other organizations and if the right person is chosen, can work out well. Some were surprised when MacKenzie was chosen. However, considering the age of the Panthers’ star players at the time and their still limited experience, I believe it was the right decision. Two years later, though, those same players have now entered their prime and have found success at the game’s highest level. With one year left on his deal, it would make sense for the Panthers to strip the captaincy from MacKenzie and give it to their captain of the future. 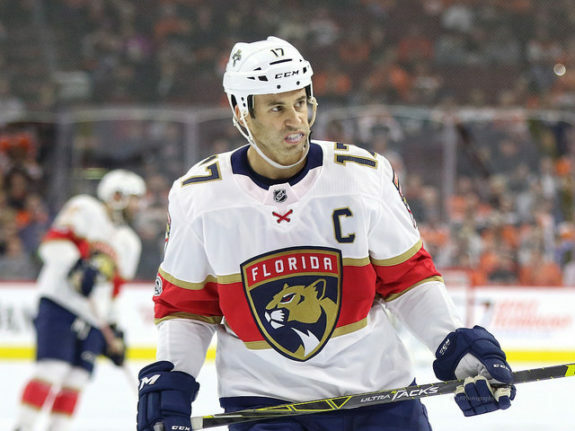 Derek MacKenzie has captained the Panthers for the past two seasons (Amy Irvin / The Hockey Writers). Ideally, the player chosen will have a year to learn from MacKenzie and work with him on the responsibilities of the role. MacKenzie, who has now worn the “C” for two seasons, surely would not be happy, but any good teammate would consider the betterment of the team. Hopefully, MacKenzie would be willing to help prepare the newly appointed captain to be the best possible. For the new captain to have this opportunity to work with MacKenzie, the time to make the transition is now. For me, the top candidate is the team’s first line center and best overall player, twenty-two year old Aleksander Barkov. I’m not a believer that the best player on a team should automatically be in a leadership role, because it’s a role about much more than skill. In hockey especially, the captaincy must be bestowed on a player with more qualities than the ability to score goals. That being said, as we saw with Alexander Ovechkin this postseason, in many cases the top player is the right choice. For the Panthers it most definitely is. Aleksander Barkov appears to be ready to lead the Florida Panthers (Ed Mulholland-USA TODAY Sports). Already wearing an ‘A’ as an alternate captain, and fresh off his best season to date, Barkov’s role is cemented. He is an offensive force who is responsible in the defensive zone, and a player his teammates and coaches look to for a spark. A huge piece of picking a captain is the way their teammates view them, and from what I can tell, Barkov has blossomed into a leader. I can’t speak to whether or not he is a vocal presence in the locker room, but a leader who leads by example is a leader nonetheless. Perhaps what I like most about Barkov is his simple love for playing hockey. Like all professional sports, the NHL is a business. For some guys, it is about money, and that is perfectly understandable. For others, money matters for sure, but in the end it is about doing what they love. When Barkov signed a long-term contract worth $5.9 million, it spoke to his passion for the sport. Worth much more than he signed for, Barkov now has one of the most cap-friendly contracts in the NHL. Aside from Nikita Kucherov’s $4.7-million contract for next season, Barkov may be the best bargain in the league. 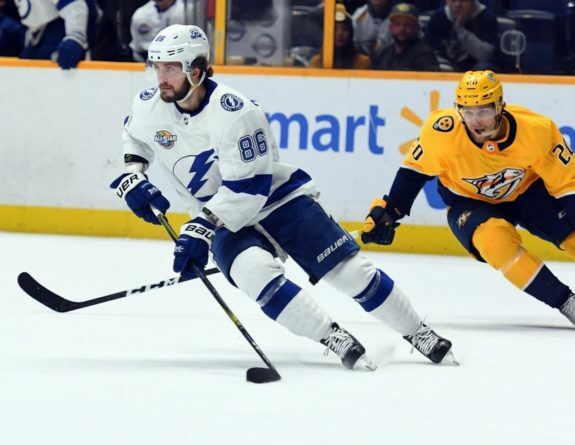 Based on production, Nikita Kucherov has the most cap-friendly contract in the NHL. (Christopher Hanewinckel-USA TODAY Sports). This is not to say the expensive players do not love the game, because of course they do. The difference is many of the top players will demand what they are worth and are willing to move somewhere else in order to get it. It’s understandable for a guy like John Carlson or John Tavares, both upcoming unrestricted free agents, to test the market with expensive demands. Either player could very well end up re-signing with their respective team, but as we saw with Tavares this season, contract complications can be a huge distraction. While Barkov was not unrestricted when he signed his deal for $5.9 million, there is no doubt he could have demanded more money and complicated the process. Instead, he signed a long-term contract at a discount, further proving he just wanted to play the game. Luckily for the Panthers, it’s not only Barkov who made the process easy. Top to bottom, the Panthers have an extremely cap-friendly roster, which will keep their leadership intact for years to come. As a viewer, there is only so much we can tell. 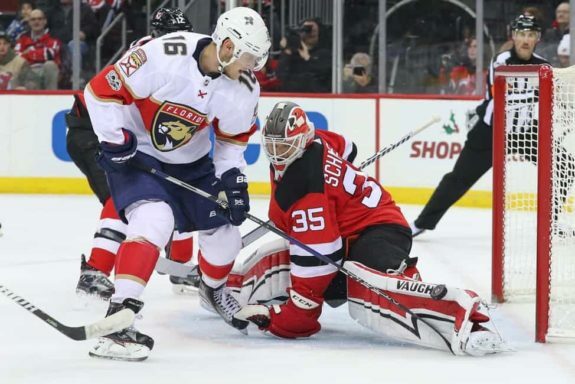 So, if the Panthers deem Barkov unfit to lead, it is Vincent Trocheck who should get the nod. Also an alternate captain, the difference between the two is their style of play. Based on their discrepancies, my guess is Trocheck is more of a vocal presence off the ice. Vincent Trocheck is a legitimate option to overtake MacKenzie as the Panthers’ captain (Amy Irvin / The Hockey Writers). Trocheck, one of the team’s most physical forwards, plays a tough game that is easy for his teammates to respond to. Teammates respect guys who block shots, make big hits and play with an edge and Trocheck is among the league’s best at doing so. Two years older than Barkov, it would not be a surprise to see the Panthers place the ‘C’ on Trocheck. In fact, some could make the argument he is the guy for the job and that Barkov is better fit to remain as an assistant. Whether Barkov, Trocheck or even defenseman Aaron Ekblad, is named captain this year or next, remains to be seen. Regardless of the decision to come, whoever is not given the ‘C’ will almost certainly retain their current leadership role. With several young players all capable of carrying their team, the Panthers are in great hands.